Emily Dean, Associate Professor of Anthropology, is currently co-authoring a book (with Bill Sillar) titled Mountains, Myths, and Monuments: An Andean Landscape Biography as well as contributing to an edited volume: Recent Archaeology at Formative Chiripa. 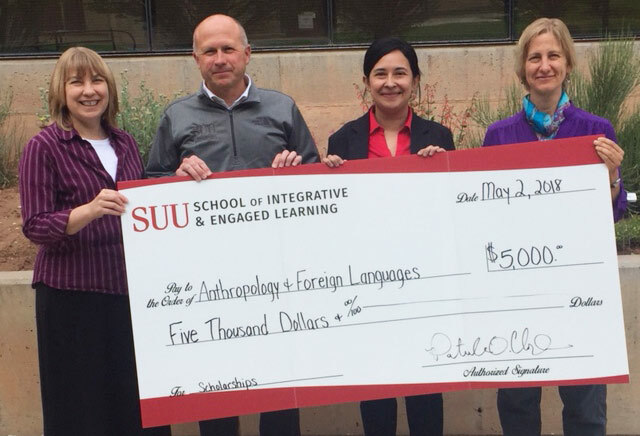 Professor Dean received SUU's Outstanding Educator award in May, co-directed the Archaeology Field-school in June (this year students excavated at Fort Harmony and surveyed public lands in the Cedar area), and -- generously funded by a FSSF research grant -- investigated late Inca occupations in the Cuzco, Peru region in July and August. Recently, she and Barbara Frank renewed a $25,000 collaborative grant with Bryce Canyon National Park. 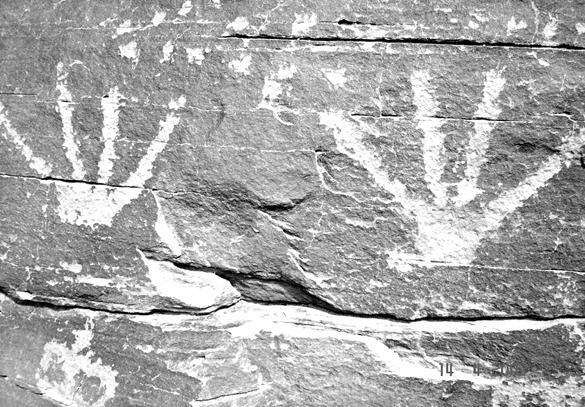 This two year project trains and employs SUU students to help conduct archaeological surveys in the park. Emily is excited about the prospect of helping to design and implement a new Anthropology major. Elizabeth A. Olson (PhD, Case Western Reserve University, 2009) is a new Assistant Professor of Anthropology in the History, Sociology, and Anthropology department at Southern Utah University, in Cedar City, Utah. I am very excited to be a member of the History, Sociology, and Anthropology team at SUU and am particularly enthusiastic about our new Anthropology major. My research interests are related to plants and health – ethnomedical systems, community-based development, international health, and anthropological field methods. My anthropological research has looked at traditional healing systems in Utah, the Bolivian Amazon, and Mexico. My work with traditional medical systems has led me to focus on the intersections among health, environments, and economic markets. Themes in my courses include global health, medical anthropology, cross-cultural models of childbirth, sustainable development and conservation, environmental anthropology, and cultural studies of science. Last year, I published my ethnographic study of conservation and traditional medicine in the context of community development in Mexico, Indigenous Knowledge and Development: Livelihoods, health experiences and medicinal plant knowledge in a Mexican Biosphere Reserve, (2014). I am currently engaged in research regarding the globalization of medicinal plant knowledge and the relationships between indigenous, professional, and lay uses of medicinal plant knowledge across various ethnomedical systems (especially homeopathy and anthroposophy). I am co-editing a new ethnographic series Global Change, Global Health, with my colleague Dr. Cissy Fowler (Wofford College). I serve actively in the Society of Ethnobiology and the Culture & Agriculture section of the American Anthropological Association. I co-edited a Special Issue for Conservation and Society "The Biodiversity Conservation Industry in Mexico" with Jose Martínez-Reyes and Leticia Durand Smith which was released in 2014. I am currently working on a project with John Richard Stepp to co-edit a volume for the Springer series on Ethnobiology titled, Plants & Health: New Perspectives on the Human Relationships to Medicinal Plants. The volume on Plants & Health includes contributions by scholars from around the globe and highlighting diverse theoretical stances on the many ways that human groups rely on plants to maintain health. Jens Uwe Guettel. German Expansionism, Imperial Liberalism, and the United States, 1776-1945. New York: Cambridge University Press, 2012. German Studies Review, Vol. 37, Number 2. May 2014. Dr. Mark E. Miller's new book, Claiming Tribal Identity: The Five Tribes and the Politics of Federal Acknowledgment (Norman: University of Oklahoma Press), was selected for inclusion in Choice's annual Outstanding Academic Title list for 2014. In awarding his book this recognition, Choice, Current Reviews for Academic Libraries, notes that less than 3 percent of the more than 25,000 titles submitted for review were named Outstanding Academic Title in 2014. As Choice noted, these titles "are truly the best of the best." Claiming Tribal Identity also was a finalist for the Native American and Indigenous Studies Association Best Subsequent Book Award for 2013. Also he presented "Policing the Boundary of Tribal Identity: The Cherokee Fraudulent Indian Task Force and the Problem of Optional Ethnicity," at the Western History Association Annual Conference, Tucson, Arizona, October 10, 2013. He served as Chair/Commenter for the panel, "Mormon-Indian Relations," at the Fiftieth Annual Mormon History Association Conference, Provo, Utah, June 2015. He served as consultant and interviewee for the PBS film, Beyond Recognition, by Michelle Grace Steinberg, which premiered on KRCB, California, November 23, 2014. It won "Best Short" at the San Francisco Green Festival (2015) among other honors. He also was consultant and interviewee for the program, "BP Five Years Later: Deepwater Horizon and the Cost of Oil," on the impact of this disaster on the United Houma Nation of Louisiana, that aired, April 2015, on Making Contact: Radio Stories and Voices to Take Action. Professor Curtis Bostick is looking forward to the Spring semester 2014. He will teach two of his favorite courses: HIST 4600: Women in Ancient, Medieval and Early Modern Europe and HIST 4570: The European Witch-hunts. Just recently he submitted a paper for publication on the Malleus Maleficarum (Hammer of Witches;1486-87) and has begun an investigation into 16th century demonological treatises. Dr. Michelle Orihel will once again in the academic year 2018-19 teach in SUU’s innovative Jumpstart program for General Education. She will be teaching in the Stage and Screen section, using films and musicals like "Hamilton: An American Musical" to encourage students to study the past in greater depth. Last spring she published an short article on pedagogy in Common-place: The Interactive Journal of Early American Life that relates her experience of teaching the correspondence of John and Abigail Adams through the lens of contemporary social media. Her book chapter on pamphlets and pamphleteering in early American history will be appearing shortly in the volume "US Popular Print Culture to 1860," edited by Ronald J. Zboray and Mary Saracino Zboray, the fifth volume in the series "The Oxford History of Popular Print Culture" published by Oxford University Press. Presently, she is working on her book manuscript, tentatively titled "Navigating the Nation: Opposition Politics on the Trans-Appalachian Frontier in the Early American Republic." Dr. Dave Lunt: In addition to teaching courses on Ancient Greece, Western Civilization, World History, Sport History, and American Civilization, Dr. Dave Lunt is continuing his research on ancient Greece and ancient athletics. His most recent research, a paper entitled "The Thrill of Victory and the Avoidance of Defeat" examines the importance of athletic victory in the life and military campaigns of Alexander the Great. This paper will be published in the peer-reviewed journal Ancient History Bulletin in late 2015. Keeping with his interest in Alexander the Great, Dr. Lunt is pleased to be able to offer a new course for Spring 2016 entitled Alexander and the Hellenistic World (HIST 4415). Other ongoing research endeavors include a project on the myth of Prometheus, and an examination of the archaeological contexts from the island of Thasos that relate to the victories and remembrance of an ancient Greek athlete named Theagenes. Dr. Michael Ostrowsky, along with Dr. Kevin Stein, finished their paper "Taco the Puppy is Super Sick: Student Excuses as a Unique Form of Apologia Rhetoric." They presented this paper at the 2015 Humanities Education and Research Association conference, and the paper is currently under review for publication. Dr. Ostrowsky's review of the book "In the Trenches: Teaching and Learning Sociology" has been accepted for publication in the journal International Sociology Review. Dr. Ostrowsky has reviewed four manuscripts in 2015 for the following journals: Journal of Criminal Justice; Drug and Alcohol Review; Qualitative Research in Sport, Exercise and Health; and Journal of Media and Communication Studies. Dr. Ostrowsky continues to be a member of the College of Humanities and Social Sciences LRT Committee and he's glad to be back on the University Undergraduate Curriculum Committee. Dr. Matthew Eddy: Watch the YouTube channel hosting documentary films made by SUU students in Dr. Eddy's Sociology 4700 course (Sociology of the Media & Doc Films). Dr. Kholoud Al-Qubbaj: is currently a Reviewer for Choice Connect, A publication of the Association of College and Research Libraries, A division of the American Library Association. She also is currently developing a research project, titled, "Diversity: The Effective Teaching Methodology". This project will help developing effective techniques for future diversity education.